Want to get the biggest bang for your buck on the next cruise holiday you take? These 10 fantastic tips have been compiled by experienced cruise holidaymakers who have developed hacks for saving money aboard the ship without compromising the enjoyment or experience. Many cruise companies will add per-person, per-day gratuities onto your total bill. This is to reward the hard-working crew members who go above and beyond to ensure your holiday is as relaxing and/or exciting as possible. However, this can be changed at the Guest Services desk in-line with an amount that you believe is more fitting for the service, whether you wish to increase or decrease the daily gratuity. It is always worth at least checking the gratuities that you are paying even if you have no intention of changing it, so you can budget more accurately. The tipping policies aboard ships from different cruise lines can differ significantly. Even if you are not particularly religious, you can benefit from consulting the Gideons’ Bible in your cabin. Many cruise holidaymakers store drinks vouchers or other freebie tokens in the Bible and often forget about them. Checking the Bible for vouchers which are still valid could entitle you to a few free rounds when you next visit the bar. If you have a mini-fridge in your cabin, then it may be prudent to keep any batteries that you have brought with you in there. Nickel-metal hydride batteries retain a greater percentage of their full charge when stored in such cold conditions. This will safeguard you against having to purchase more batteries throughout your cruise and means you won’t miss out on capturing any fantastic views with a camera out of battery. Cruise ships often use different currencies from where they set sail from, utilising the currency of the nation in which the ship is registered. Signing up for a credit card that benefits users who are using an exchanged currency could see you save money or qualify for some fantastic rewards. Additionally, this can protect you against excessive charges for currency exchange. Cruise companies are constantly increasing and decreasing prices of their holidays due to the effects of supply and demand. Because of the times-specific nature of cruise holidays, passengers can make great savings when they book last-minute deals. So be sure to constantly check prices to get the best deals going. Check the Cruise1st latest deals page or call on 1300 857 345 to find the latest and greatest deals that we have on offer. If there are additional fee restaurants and activities you hope to attend whilst on the cruise, then you may be able to make savings by booking before setting sail. Royal Caribbean offer 25% savings on dinner packages aboard selected cruises, found here. Plus booking ahead ensures that you’ll definitely get a table at a popular ship eatery. Some of the largest megaships can accommodate up to 6,000 passengers, meaning that they have a lot of cabins to fill. This can lead to some fantastic savings for passengers as sales teams are trying to fill their quota of cabins to fill. 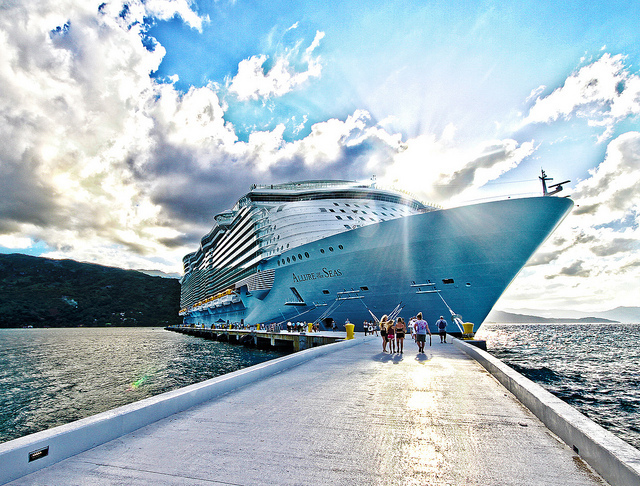 Cruise ships sometimes relocate to a new home port, requiring a repositioning journey. Cruise companies will try to make the most of such situations by offering passengers cruises on these journeys. Cabins on these cruises are often available for fantastic prices as they fall outside of the most popular seasons so it is always prudent to keep an eye on any relocation news. Always push for upgrades. Whether it be room upgrades or improved packages, you have nothing to lose by asking for freebies. This can be particularly effective for last-minute buyers, booking holidays on cruises where the quota of upgrade rooms may still need to be filled. You’ll never know what you could have got if you were too shy to ask. Many cruise companies offer free trips for large party organisers. If you can persuade a group of 16 or more friends to all book a cruise holiday, the operator may be able to offer you a freebie. As the organiser, you can either choose to accept this free holiday, split the savings amongst all members of the party or put the equivalent amount into a ‘drinks kitty’ to pay for your party’s boozing. Images sourced via Royal Caribbean Medai Center, Flickr Creative Commons and MSC Cruises Media Center. Credit: Royal Caribbean, Roger Wollstadt, MSC Cruises (USA).